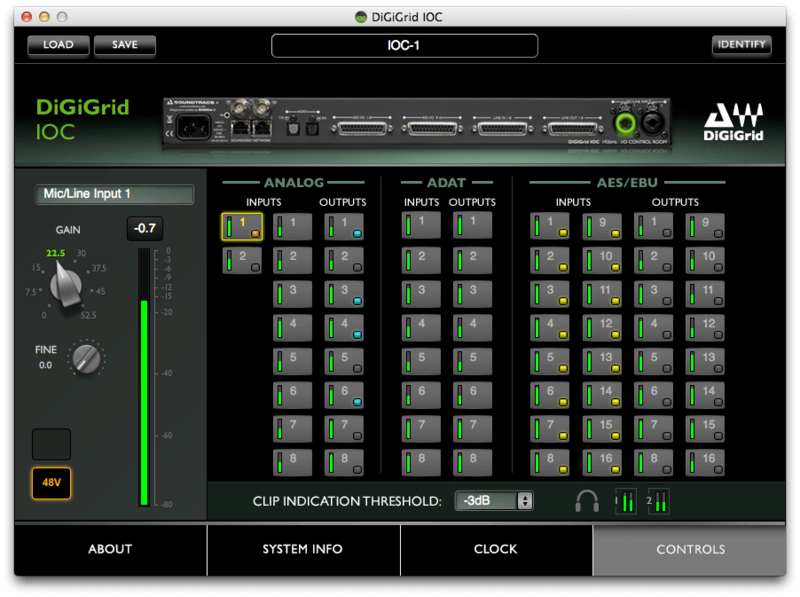 Perfect for the control room, the DiGiGrid IOC audio interface offers a range of connectivity options, including 2 mic/line inputs with broadcast-grade preamps, 8 line inputs/outputs, and 16 AES and ADAT inputs/outputs, plus two powerful headphone outputs. With the IOC and a dedicated SoundGrid DSP server on your network, you will be able to run up to hundreds of SoundGrid-compatible Waves and third-party plugins, all fully integrated within your DAW of choice. Just plug the IOC into your SoundGrid network using a single Ethernet cable, and you will enter a new world of real-time tracking, mixing and monitoring, with extremely low latency of only 0.8 milliseconds. Harmonic Distortion: Typically <0.01% @ unity gain, -10dB input @ 1kHz. 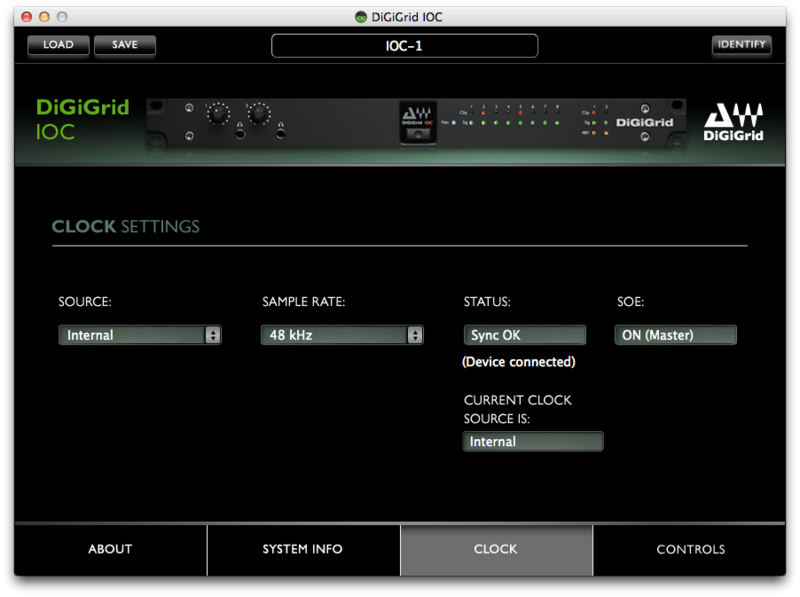 For further information on how to use the control panel, see the DiGiGrid IOC manual.